Women love shoes…its built in our D.N.A. All shoes… anything from lace up heels, strappy sandals, peep toe shoes, platform heels and of course our diva high heels. The higher the heel the closer to heaven! Have a top sole applied to leather-soled shoes before you wear them – this will double their life span. When storing your shoes, make sure they are dry and keep them in a dust bag or the box you bought them in to protect them from dust. Use waterproofing spray before you wear new shoes. This spray can be used on shoes to keep them from becoming waterlogged. Definitely weatherproof seude shoes or handbags. Invest in low-cut sockets to keep your feet from sweating this will keep shoes fresh on the inside. Replace your heel caps regularly so as not to wear down the leather. If the leather becomes damaged it can be impossible to restore the shoe to its former glory. 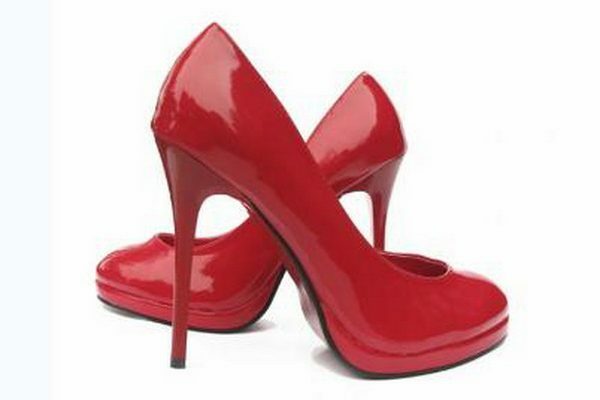 A broken heel cap will not only look bad, it may also make the shoe more uncomfortable to walk in. It is recommended that people not wear the same pair of shoes for more than a couple of days in a row. Having two pairs of shoes to rotate out every couple of days is all that is needed to prevent stress on the foot. High heels can sometimes be slippery to walk in, so rub some sandpaper over the soles of unworn shoes which will give better traction. Quiet your squeaky shoes with some baby powder. Squeaking is usually caused by parts of the shoe rubbing against each other. Just lift the inner sole of the shoe and sprinkle baby powder underneath. If your shoes smell. Try putting a drop Peppermint Essential Oil or a dry Peppermint Tea Bag inside each shoe, this will not only absorb the odours but make them smell amazing. As feet can swell up to a half size bigger by the end of the day, make sure you go shoe shopping towards the end of your day. Also try all shoes before buying. The same size shoe sometimes can vary between shoe brands. If your favourite party shoes give you blisters… banish your blisters by rubbing clear gel deodorant around the back of the heel of each foot. This will decrease friction and increase your ability to dance all night. But if preventative measures are too late, soak blistered feet in green tea, the anti-inflammatories in green tea will soothe both blisters and tired feet.